As many welcomed the New Year in the comfort of family and friends, Tanoa Tusitala Hotel sought to give that same family comfort to their guests who are miles from their home and loved ones. An extravagant countdown party for Tanoa’s guests and friends was held at the hotels conference room where everyone enjoyed a great night. According to Tanoa’s H.R. Manager, Aulafo Fuimaono, the event their way of thanking those who were part of the hotels 2016 and to give their guests a home away from home to celebrate. 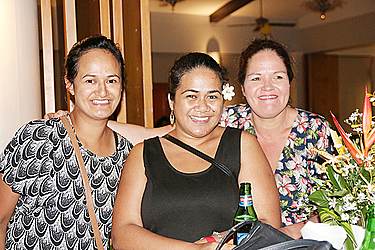 “This New Year’s party is the first one that we’ve held here at Tanoa,” she told the Samoa Observer. “We just wanted to give it a totally new outlook on what’s to come in 2017. We also basically just want to let everyone know that we are thankful for everything you have done for the company in 2016. The party not only welcomed a New Year, but it also to mark a new journey for the hotel. 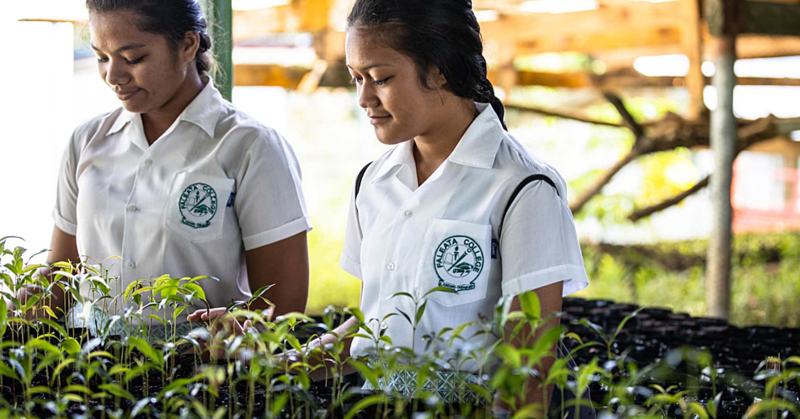 “Here at Tanoa, it’s always about the Tanoa way,” Ms. Fuimaono said. 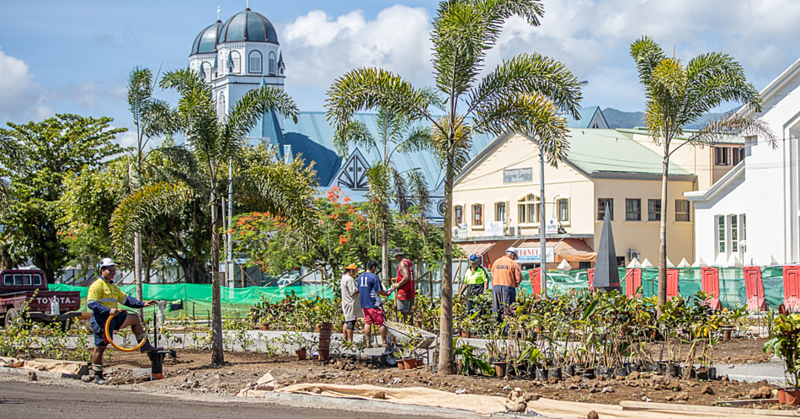 “Our people being the first things, our guests and then our company; that’s basically our motto, we want to make sure that we have new establishments coming on. “We just have totally new aspects. We just had our old General Manager, Jason leaving and now we have our new G.M. coming on board and we are looking forward to what he has for us at Tanoa. “Our people are growing, our customer service is growing and basically we are not in a situation that we are trying to compete with others. But all that is to come will be revealed in due time. “The rest that we have coming up is definitely a surprise.” Ms. Fuimaono said. “So with it being a surprise, we are just trying to make sure that we are all ready for that in2017. But yes, this party came about from one of our conference and events managers, Alex. “We wanted to make sure that the guests that we have in the hotel at this time have a place to celebrate New Year’s Eve because basically they are away from their families; and for us being Tanoa, we are a very family oriented hotel so we wanted to bring them to enjoy with us. And as a message for everyone walking into the New Year, Tanoa wants everyone to be excited for what’s to come. 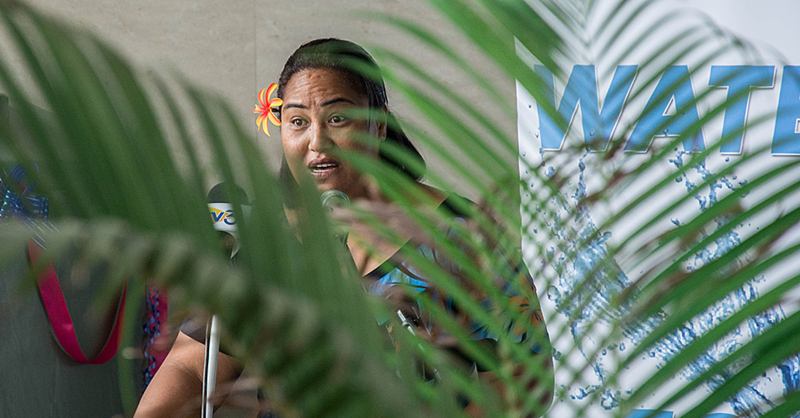 “Look forward to what Tanoa has for the community and for Samoa,” Ms. Fuimaono said.